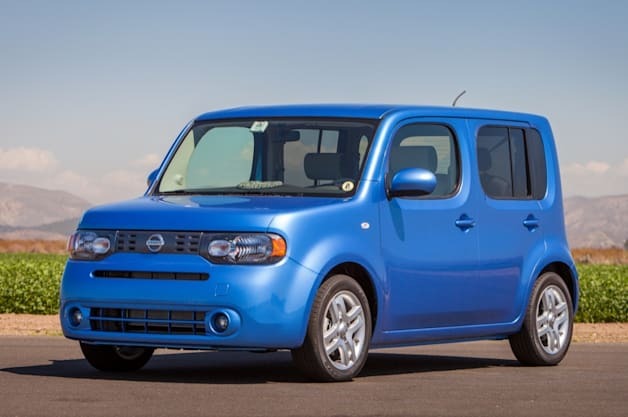 The Nissan Cube is on its way out here in the US and Canada. In a way, that's too bad, simply because the Cube's styling was nothing if not distinctive - much like the company's own Juke. However, the flame for uniquely styled models is indeed still burning over at Nissan. We might never see an exact replacement for the Cube in the brand's lineup, but product planning boss Andy Palmer says that its retirement leaves a spot open in the Nissan lineup for something else. "To be clear, we will morph this space in our portfolio into something iconic," said Palmer to Automotive News. Unfortunately, he wouldn't hint at what that could mean. However, his lack of suggestions makes it fun to speculate about what oddity could replace the Cube, especially since two of Nissan's more recent quirky concepts might have problems hitting the road. The Bladeglider is mired in Nissan and Deltawing Technologies' ongoing patent lawsuit. Alternatively, the retro-inspired IDx might be too expensive to build profitably. Still, this is the company that created both the (nearly dead) Murano CrossCabriolet and the very successful Juke; it can probably come up with something else delightfully weird.Nissan commits to adding 'iconic' design after Cube killed off originally appeared on Autoblog on Fri, 25 Jul 2014 10:02:00 EST. Please see our terms for use of feeds.